It is an interesting day, this day of December 31, 2014. I picked up the pitcher that has been on my counter for the past year. I’ve been filling it throughout 2014 with little notes describing the miracles, blessings and gifts that I have received. Yes, I am thankful for all that has happened, but I sat in wonder and amazement at the number of small pieces of paper with descriptions of gratitude. WOW!!! I didn’t remember it had been so awesome and abundant. Abundance comes in many forms. It doesn’t just have to be about money or what material thing you receive. It’s about the new friendships, releasing of fears, growth in love, spirituality and trust in the guidance that is being given. It’s about learning something new and not resting in what is comfortable. It’s about starting a business when you never thought that could ever happen and it wasn’t even on your radar. It’s about clearing and releasing the old to allow for all the new, unexpected, surprising and synchronistic people, things and events to appear. I started with a list of intentions for 2014 and I’ve reviewed them along with my little notes of gratitude in my 2014 pitcher. And the only thing I can say is THANK YOU, I am blessed!! I decided that I would pull one card from the John Holland deck and it was “Rejoice in Celebration”! It couldn’t be more perfect for all the gifts of 2014 and the anticipation and excitement of 2015! So what is your intention list for 2015? As you review 2014, what is on your gratitude list? Sometimes it’s just good to review where we’ve come and where we want to go. There’s no better time to do that than New Year’s Eve. Is this the job I love and allows me to live the life I have always wanted? Is this the relationship that makes me happy because it is based on unconditional love? Am I traveling to places I have always dreamed to see and experience? Are my family relationships fulfilling and loving? Am I living a healthy lifestyle? Sometimes we just need some clarification on where we’re going and what our heart is telling us. If that is something that you desire, then I am here to help you along this journey. You can message me here on the website, TaroAstrologist.com. But, most importantly, be thankful and Rejoice in Celebration! It is a new year! Sending love and wishing you all the blessings and abundance of love, health, wealth, and creative self-expression for 2015 so that your gratitude pitcher is overflowing!! December is a busy month full of various celebrations depending on religion, culture and tradition. Gatherings of friends and family, surrounded by food and drink are just part of the fun. Decorating, shopping and endless errands are part of it all as well. How do we keep up with all the activities and still stay centered in the joy of the season? Decide what you want this holiday to be like. Set the intention and hold that focus. There will be many opportunities to stray from your intention, trust me!! One way is to accept that not everything is perfect. Slow down and enjoy the moment. Those imperfections will give us some good stories in the future and many good laughs. Let me tell you about the holiday that we had a houseful of family and…… I’ll save that for another time! Stay within your budget this holiday. Nothing is a holiday downer like spending money and thinking about the post-holiday debt at the same time. A gift doesn’t have to be extravagant because it’s the meaning of the gift and not the gift. Think about it. What were some of the most memorable gifts you have received in the past? The cards or ornaments made by children? The special holiday foods made with love? The most cherished gifts are the ones given with love and not about the amount spent to purchase them. Holidays somehow bring out a change in behavior. I know you have someone around you that seems to make this major attitude shift with the holidays. Most of the time there is an underlying hurt that causes the acting out. Their behavior can be painful for you as well as for them. Many times it’s the people closest to us creating the drama. Forgiveness goes a long, long way. We can’t change anyone, but we can change how we react to the behavior. Forgive, even give a hug, and move on. It’s a season of love, lights, gifts, delicious aromas, and stress. So BREATHE! Breathe and center yourself as you walk into that crowded store, party or family gathering. Breathe when that one person begins to push your buttons. Breathe when you get ready to spend a lot of money on a gift because you’re “supposed to”. Just breathe, honor yourself and those around you and be true to the meaning of the season…LOVE, PEACE and JOY. And spread some of that Love, Peace and Joy around. You’ll be surprised at the return!!!! Sending you Peace and Love and may all you holiday dreams, wishes and desires come true!!! Today was a good day. I traveled to Charlotte, North Carolina to mentor with my friend and teacher, Gina Spriggs. It is a weekend of learning for me and the six other students in my year-long study group. We had an intense day and my mind is filled with all the wonderful ways I’m learning to help others. And that’s what it’s all about in life….how can we help others. I asked for a card that would explain and describe all that I’m feeling. I know you’ve had those days. The days that are filled with fantastic things that pique your spirit and soul because they are so new and meaningful in how we relate to others in this life…a special time even when we relive it in reflection at the end of the day. My answer was The World card or Psyche in the Chrysalis Deck. It’s a whimsical deck of color and fantasy. I love it. The World card is a wonderful card involving completion, newness and having it all. In this deck it’s about ascension. The picture is full of rainbow colors and significance. Psyche dances over the world to signify success. It’s what I call ACE, Awareness, Choice and Empowerment. With Empowerment comes completion, success and moving on because we are now open to new things…all the wonderfulness that the Universe has to offer. So this card tells me I’m on the right path. I know there will be curves and turns along the way as my awareness and choice expand but, isn’t that a beautiful thing!! You can be there, too. You already know just what you need to know, but sometimes we’re not open to the messages. You can be a part of ACE! Find the ACE in the Deck of Life and let me help you do just that. It’s only a call away or message me on my facebook page or website. 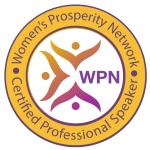 Looking forward to helping you find that E in Empowerment!! I’ve been asked this question quite a bit. After all, we’ve heard about Tarot and we’ve heard about Astrology, but both together??? What does that mean??? 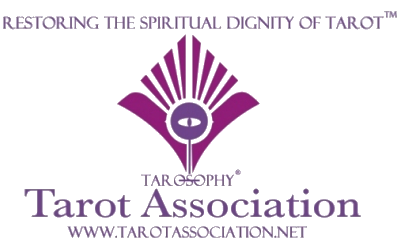 The physical part of Tarot and Astrology readings are to draw Tarot cards for each house of the 12 houses of the Astrology chart. That means that the First House in the chart is the house of who you are and how the world sees you. So the Tarot card meaning applies to the meaning of that house. There are twelve parts to the reading and two additional cards presenting an overview of you, your personality, home, work, loves, money, social groups, family, children, etc. That means YOU! That doesn’t sound very exciting, does it?? You may be thinking, so what?? Here’s where the important stuff happens whether it’s a full 14 card house reading or just 3 or 4 cards working on a situation, what you need to know about that situation and an outcome. What’s really important is that it has meaning for you! I have a dear friend that is a dancer. One of the things that prevents her from doing her most beautiful best is fear of dancing in front of others on stage, what will they think of her performance, will she make mistakes? She dances with such feeling and emotion and these very same qualities are getting in her way. We did a short reading before her big day. She loves her dance teacher and feels safe with him, but she wasn’t loving herself. The reading showed her strong partnership with her teacher, the support she has to do her best and the final card was The Star. That just showed her who she really was, a Star! The moment of Truth came and my friend danced her very best and actually enjoyed it on the day of her performance! Gone were the anxiety and self-doubt. She was magnificent. Now, am I saying that I accomplished all of this with just three Tarot cards? Of course, not! I only told my friend what deep down inside she already knew….she could do it. All I did was reinforce her true feelings and not those feelings of a fearful ego. This is where the magic happens. To watch someone actually see and feel what they already know way deep down inside, but are afraid to acknowledge is MAGIC!